The toughened metal part on the left is what locks the barrel into the steering lock assembly. It locates in a deep undercut and the gauge and toughness of this piece means that the steering lock casting will need to be completely destroyed to remove the barrel. The toughened part is on a hinge and is sprung so that it always locates in the casting - it is this part that needs to be retracted to remove the barrel. 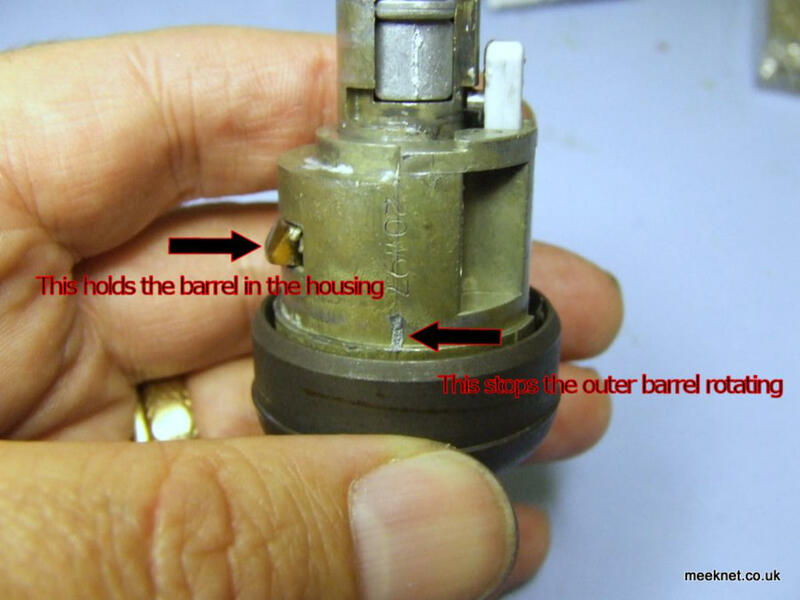 At the bottom of the barrel (as shown above) is a small tang that locates with the casting to stop the complete assembly rotating, mine is broken which is why mine just kept rotating. 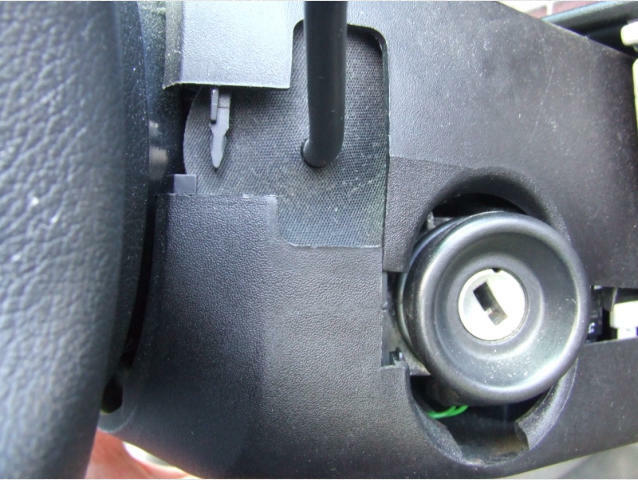 There are many security features on the barrel, firstly there is a plastic part shown on the left, if the barrel is forced (with a screwdriver) this will snap and the barrel will just spin, the steering lock will stay activated. 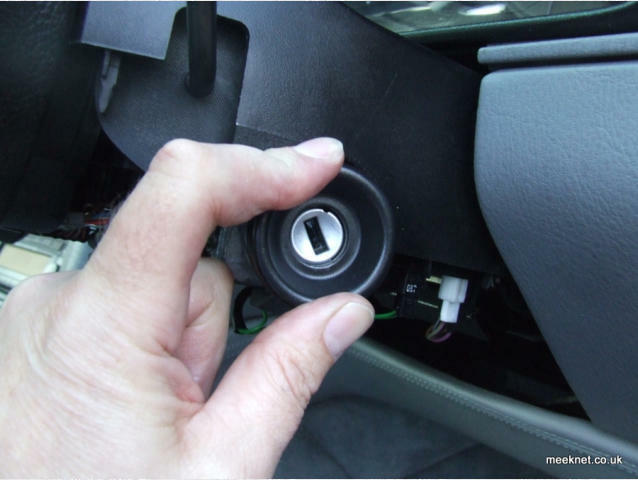 The part below (in the picture above) is the ignition switch actuator, as the key is turned, this rotates on a cam which moves the actuator outwards and into contact with the ignition switch. 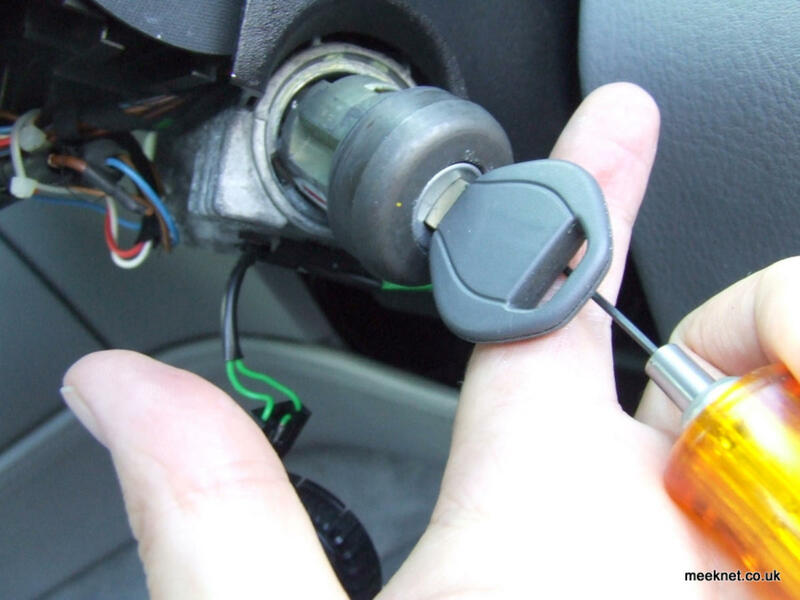 If the wrong key is used, this does not move and will not mate with the ignition switch. All in all, this is a very secure system. Here is the steering lock casting showing where the barrel fits. At about 5 O'clock is the aperture where the small tang on the barrel locates, I had to drift out the old tang before the barrel would fit. 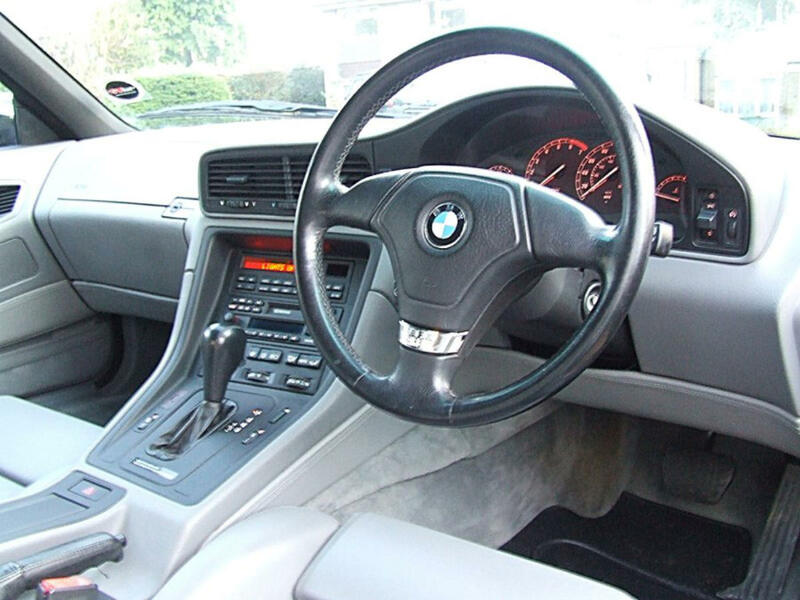 At 12 O'clock in the centre is where the actuator locates to turn the ignition switch. The undercut can be seen where the toughened part locates. Right, let's get the blighter out. 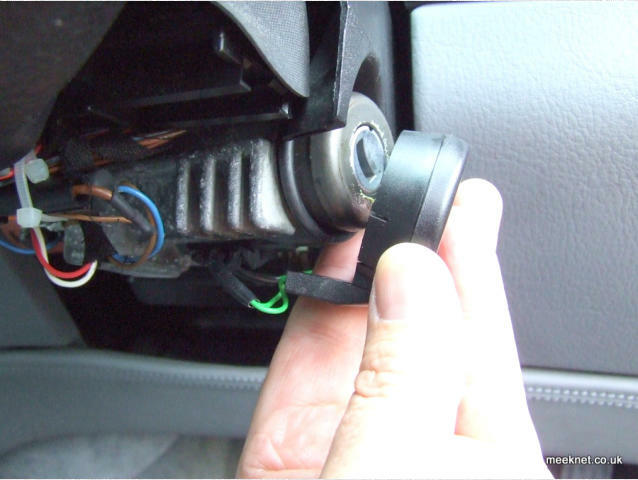 Unscrew the self-tapper on lower part of the steering column shroud, the screw expands a plastic rivet which can then be removed. 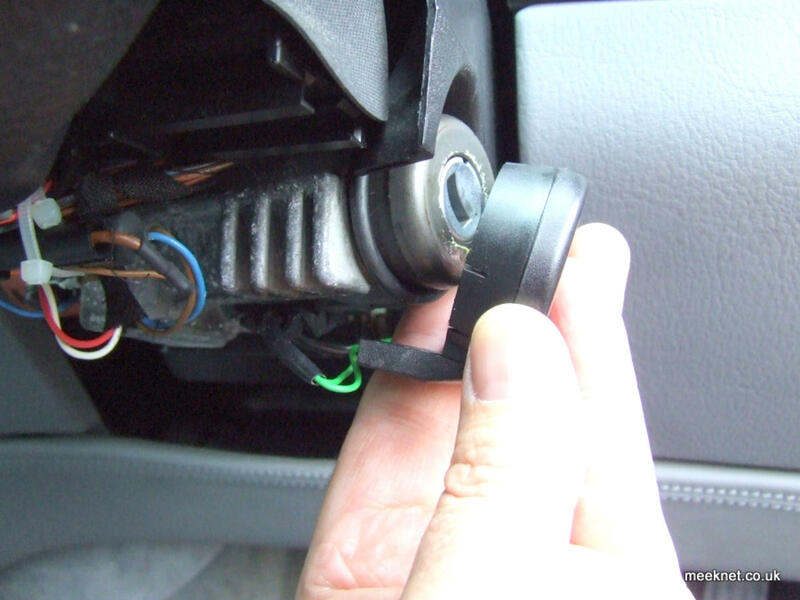 The lower shroud clips to the upper shroud at the front and half-way down the length, just pull apart at these points and remove the lower shroud. 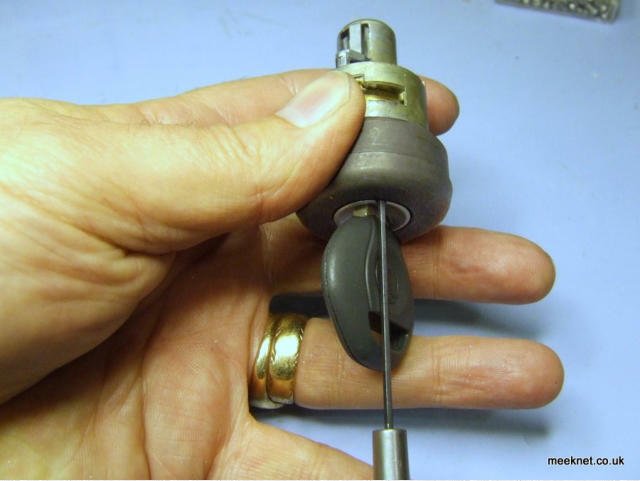 Use the side of a wide flat-bladed screwdriver to prise the inductive loop from the barrel, leave it dangling, remove the large o-ring from the barrel. 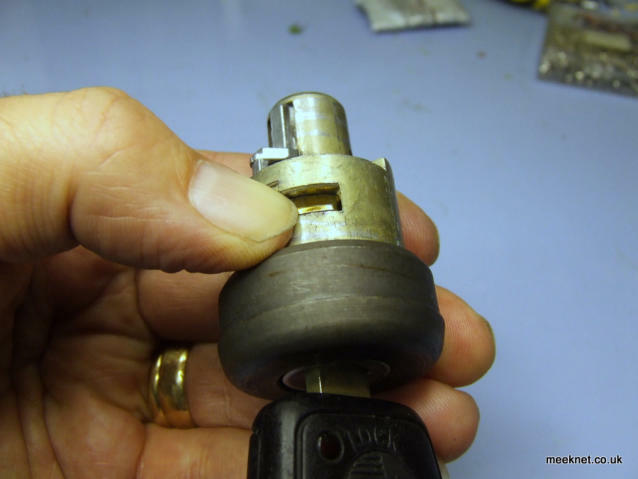 Without the Allen-key fitted, fit the key in the new barrel, press down on the hardened part and feel it lower as the key is rotated. Remember this position - it is 60 degrees clockwise (position I) from where the key can be removed. Practice pushing the Allen-key into the aperture in the correct orientation to lower the hardened part. Spend a bit of time doing this and the removal will be easy. 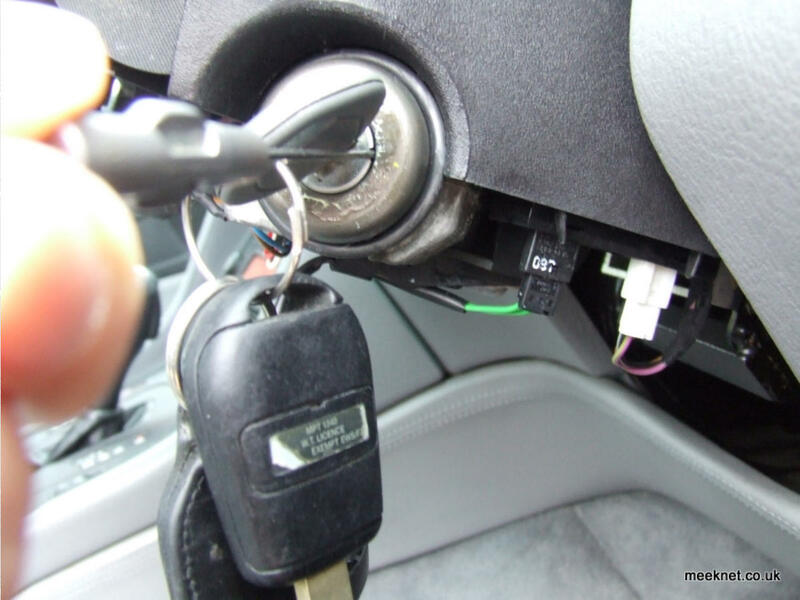 You might notice I'm using the valet key, it is best to use this or the wallet key as the remote keys get in the way of the Allen-key. 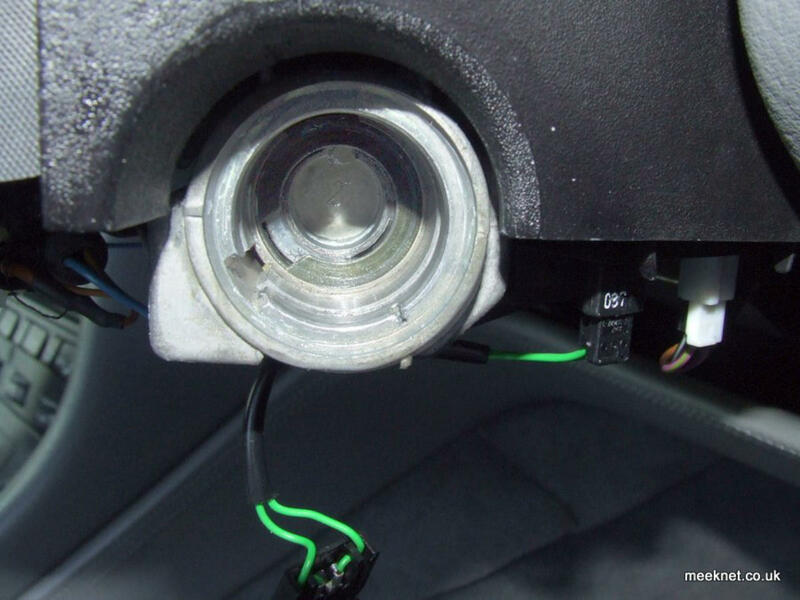 As previously said, on my car, the small aperture at 5 O'clock was blocked with the tang from the old barrel, I drifted it out with a jewellers screwdriver and a small hammer. Fit the key to the new barrel so that the hardened part can be retracted. 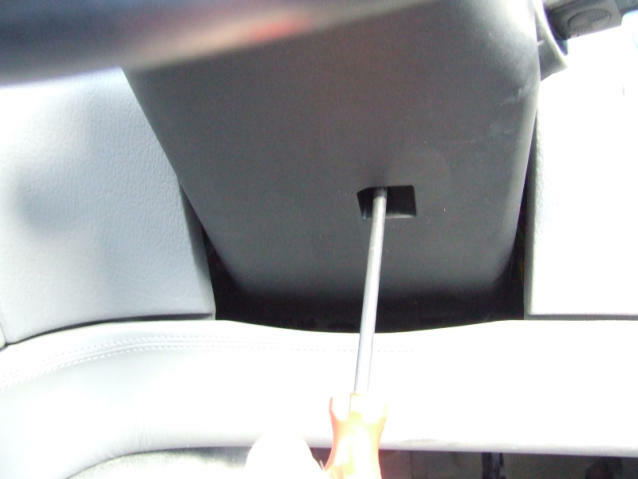 Push the barrel into the steering lock casting so that the small tang locates with the small aperture - and it's in! It's as easy as that. I spent another 30 minutes trying to fit mine before I noticed the aperture was blocked with the old tang. Fit the o-ring over the new barrel. 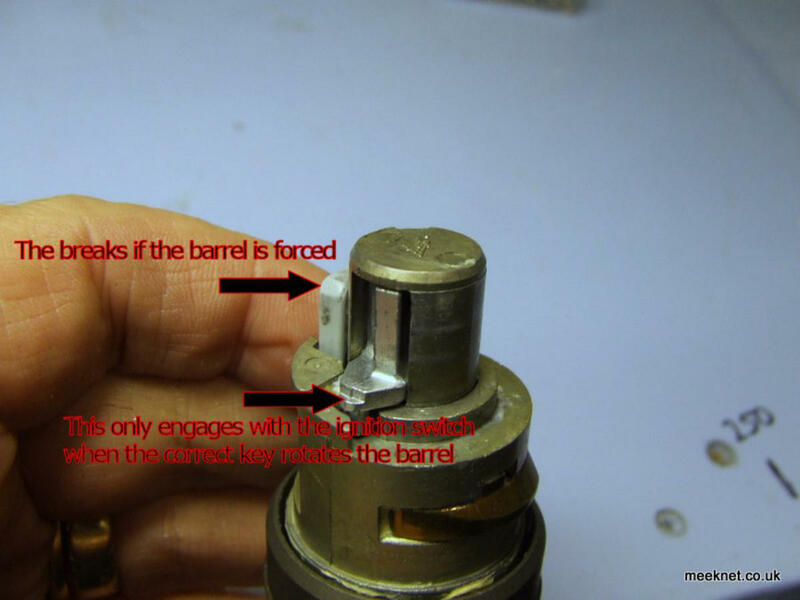 Push the inductive loop over the barrel, it needs a good push.